Iconic brands like to have romantic stories of how they got started. Here's the truth behind 5 popular creation myths. If business creation myths have their own creation story, it was penned by Mary Lou Song. One of eBay's first employees, Song grew frustrated trying to get the attention of dot-com-weary reporters. 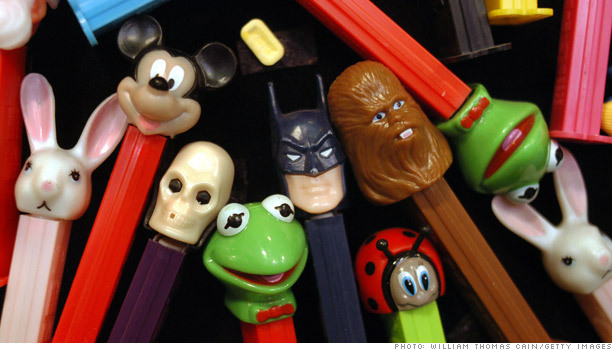 She hit on the notion of telling them that founder Pierre Omidyar had started the site to help his fiancée, Pam Wesley, find more of the Pez dispensers she collected. "Nobody wants to hear about a thirty-year-old genius who wanted to create a perfect market," she reasoned, according to Adam Cohen's book The Perfect Store: Inside eBay. "They want to hear that he did it for his fiancée." The myth stuck, and soon became popular legend. The real story, according to Cohen, is that Omidyar decided to turn his part-time hobby into a full-fledged business after he posted a broken laser pointer for sale on a whim and saw it go for $14.